Let’s get real here. 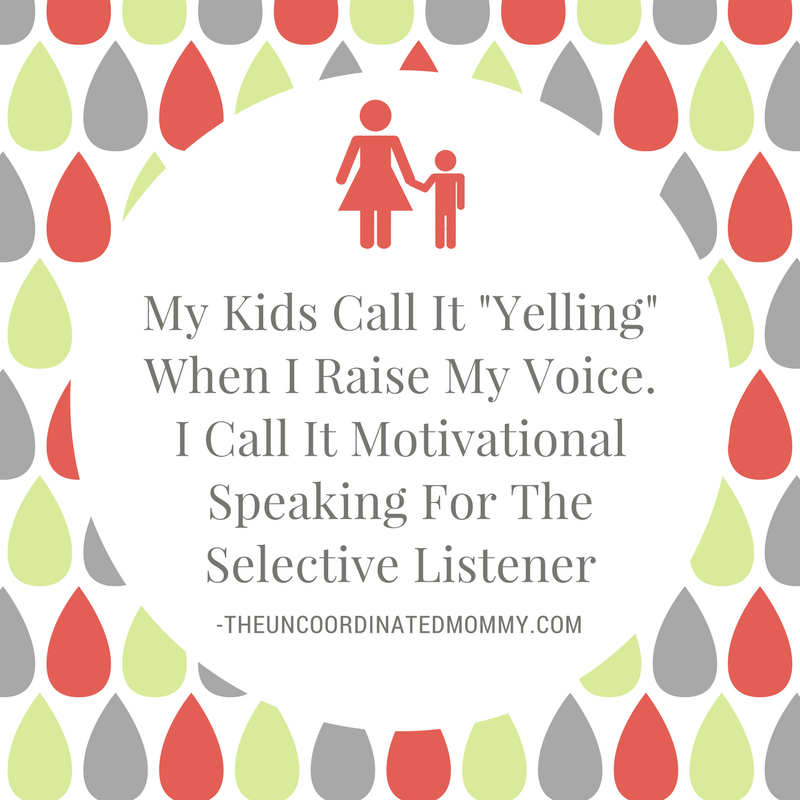 As moms (when we’re home), we basically live in the kitchen. And there’s almost nothing that can put you in a worse mood than looking around your kitchen and not being able to see the counters for all the clutter. 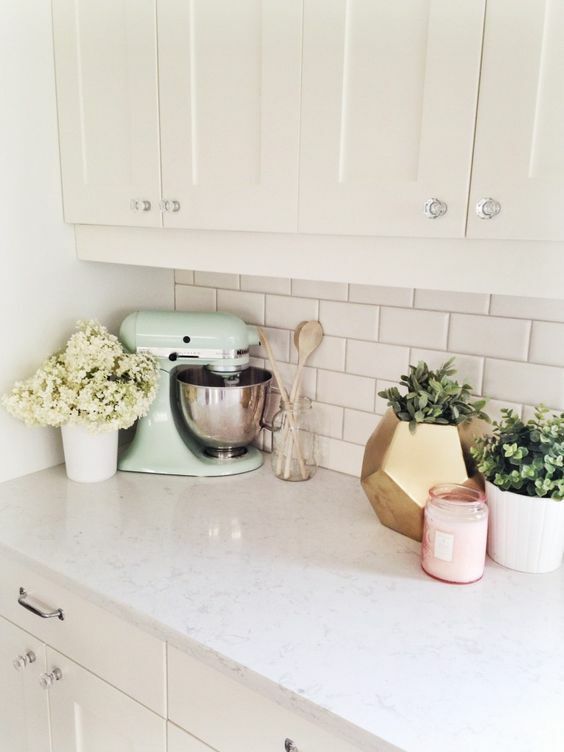 There’s nothing like the feeling of working in a clean and uncluttered kitchen! 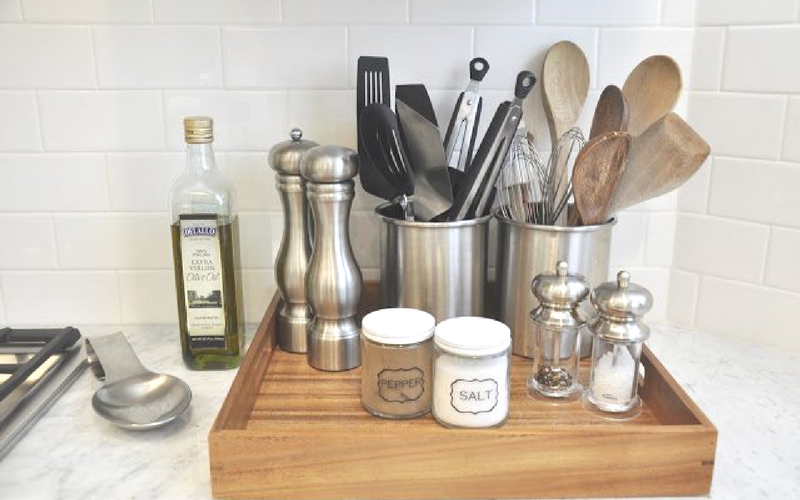 Here are some fabulous kitchen countertop organization ideas to help cut down on your countertop clutter and lift your mood! 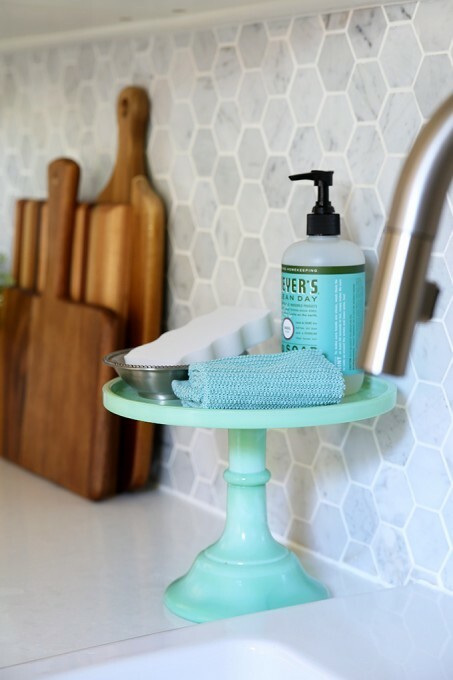 Abby from Just a Girl and Her Blog uses a pretty cake stand to corral her counter cleaning supplies and add a pop of gorgeous color to her white kitchen! 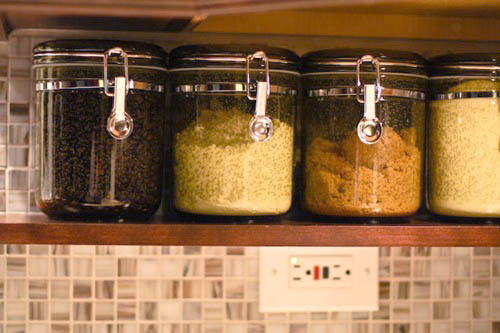 Check out this fabulous way No29Design.com used the Ikea Steel Kitchen Organizer Set to keep things off her counters! When in doubt, corral on a tray! It automatically make things look neater, and there’s a limit to the things you can fit on it! HoneyWereHome.com did a great job balancing the warm wood with the shiny metal for a nice contrast. 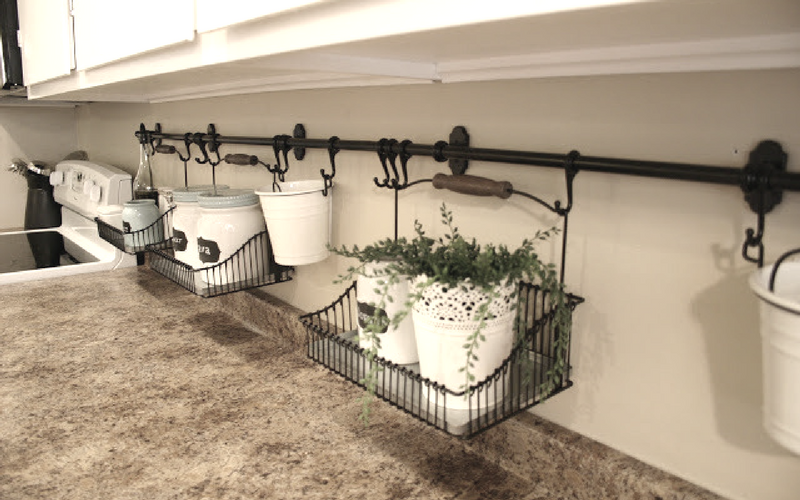 Two Twenty One used a rustic tiered tray to keep clutter off the counters and add a decorative touch! This is definitely Joanna Gaines-esque. And ya’ll I have serious sink envy here, you have to check out her sink. It’s so shiny and pretty! This! I’m totally doing this! 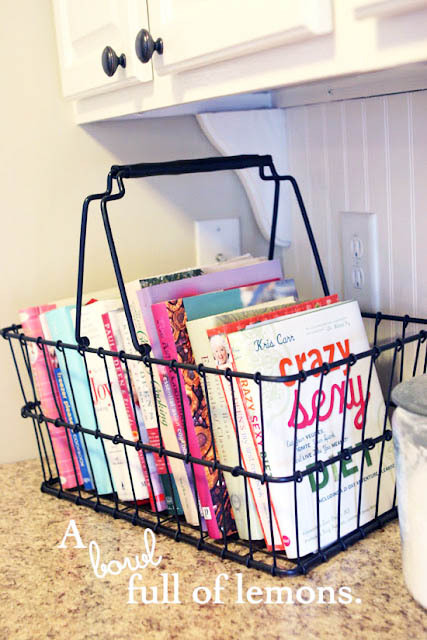 Keep your cookbooks in a pretty wired basket like A Bowl Full Of Lemons to keep them all in one place and easily accessible. 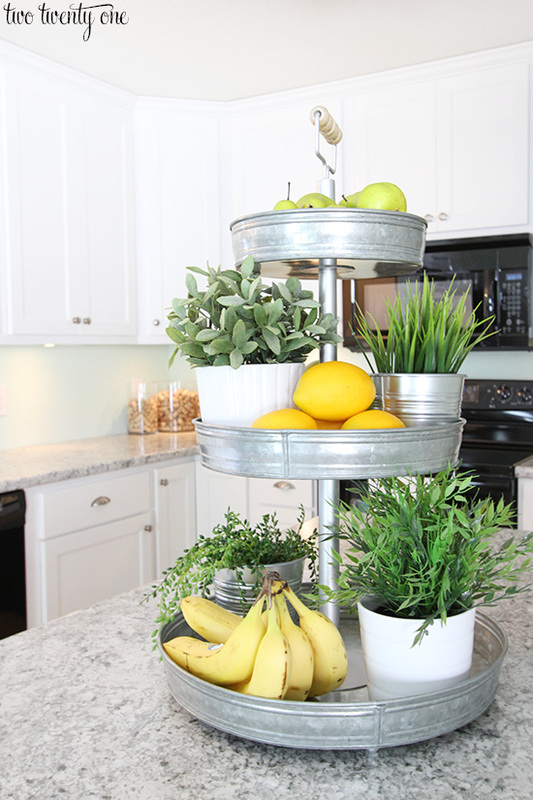 Or you can be like A Labor of Love and you can use a basket AND a tiered stand! I love her little cubbies too. Decoholic has 10 ways to style your kitchen counters like a pro, even if you don’t have much drawer space. I seriously want to crawl into all of these pictures and cook in their kitchens. They are so bright and pretty! 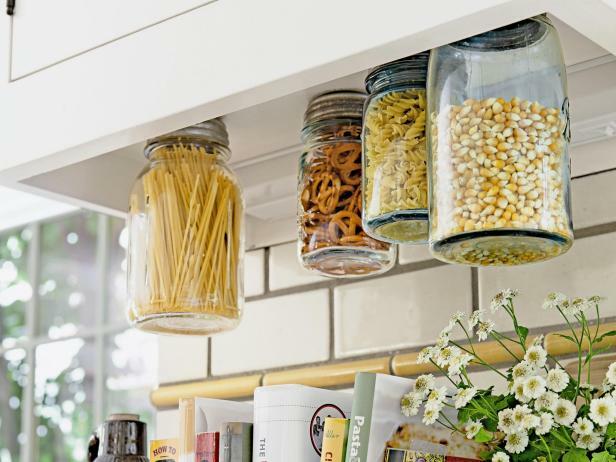 This DIY mason jar storage from HGTV is homey and convenient for your often-used dry foods. If it involves mason jars, I’m all in!! 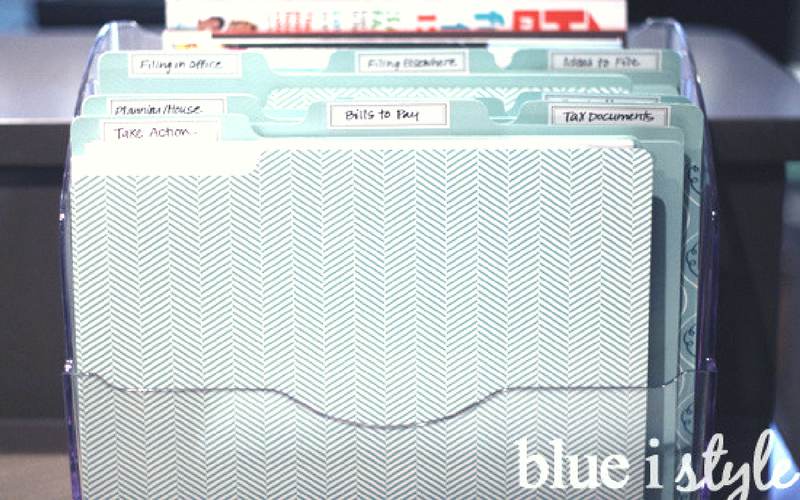 Blue I Style has a great filing system for kitchen paper piles! We are drowning in paper around here and I am constantly missing things because the flyer for it is buried in a pile of papers. 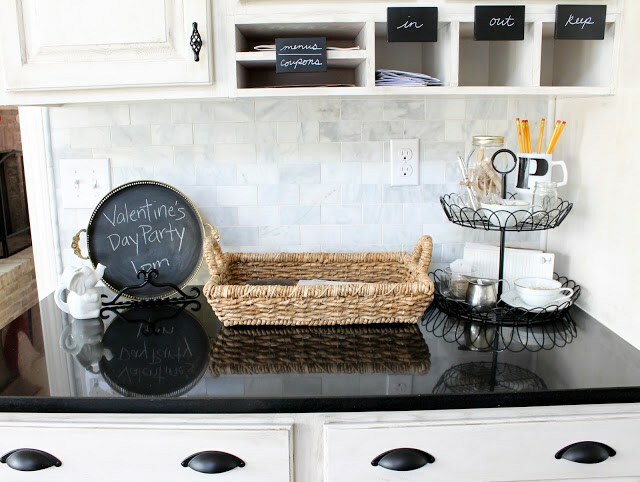 I hope you have enjoyed all of these fantastic Kitchen Countertop Organization Ideas!! 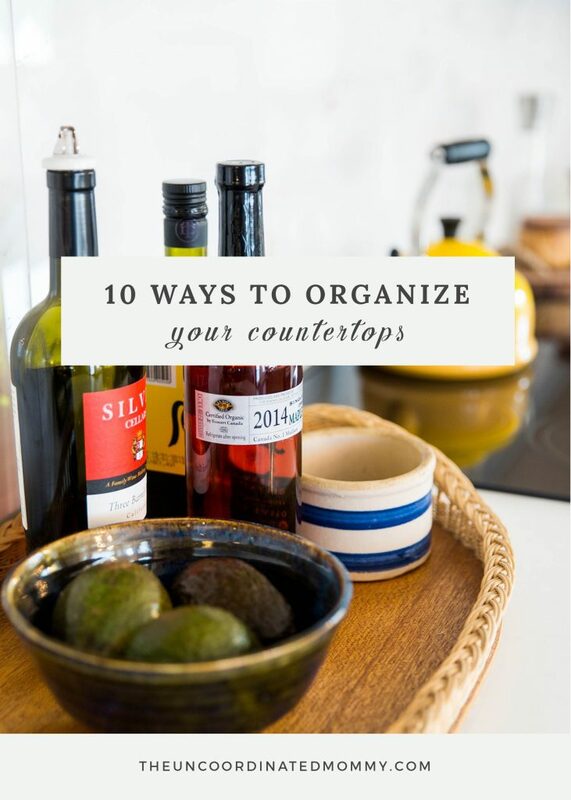 I am totally inspired and can’t wait to get organized and clear all of the clutter from our countertops!! ❮ ❮ Prime Day Deals For The Kitchen! I love all these ideas! Between the baby bottle stuff and the Instant Pot, I’m quickly running out of space. I’m going to need to give some of these a try! Reorganizing my counter top in 3, 2 1! Really it’s a great post. I like your information. Thank you for shear it.